We believe the best way to prove your idea is to build it. That is why we created M-TOOLS – the best way to kickstart your transportation venture. No matter if you want to develop a brand new sharing service for cars, scooters or vans, provide access to smart shuttles, innovate taxi hailing or disrupt on-demand logistics with bikes or drones, M-TOOLS is your solution to radically accelerate product development. Ready for your next big thing. 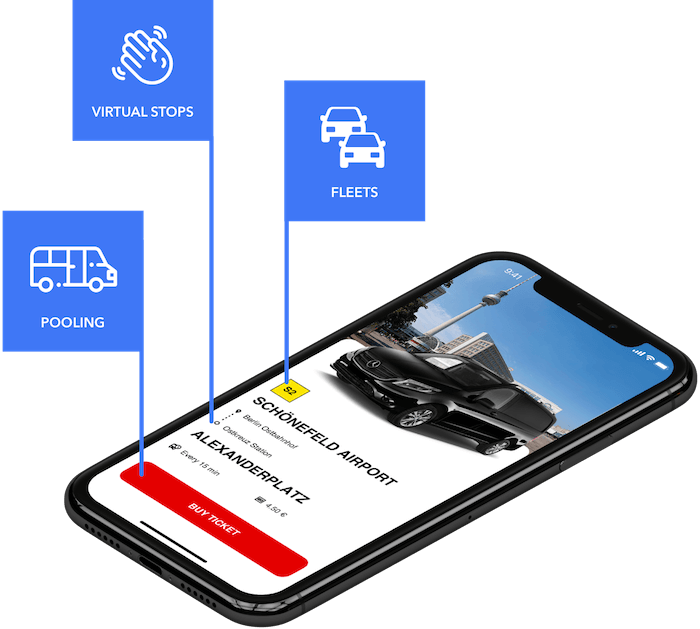 With a growing range of services and technologies encompassing frontend, backend and beyond, M-TOOLS exists to superpower your transportation venture. Launching in 3, 2, 1. Access is the new ownership. For car, van, e-bike or scooter sharing. 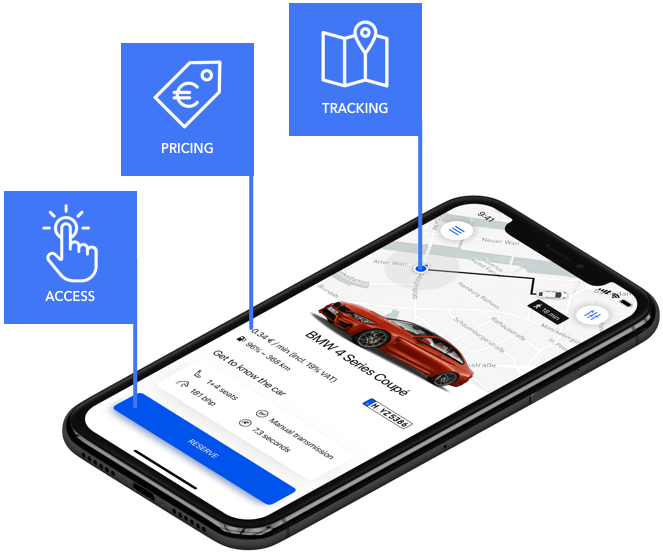 M-TOOLS enables you to kickstart innovative vehicle sharing ventures and gain traction fast, either as a standalone service or as an extension of your existing brand. Revolutionary interfaces aren’t built in a day, but with the right tools it can feel like it. 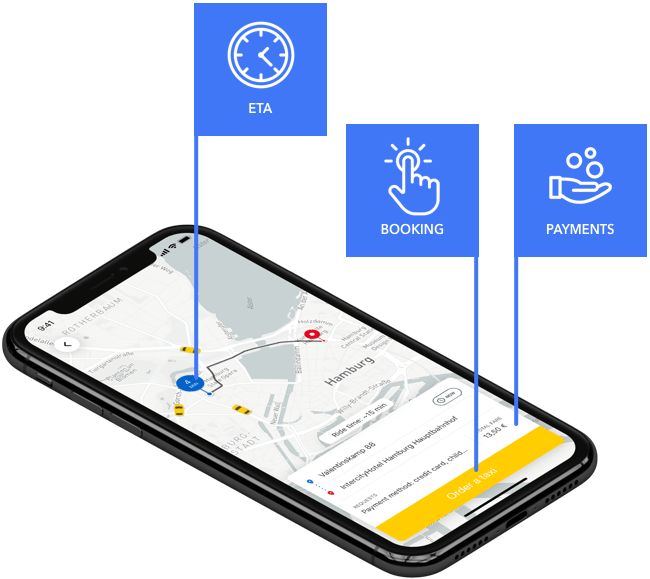 M-TOOLS lets you focus on building your taxi business, with an all-in-one package that takes care of the technology side. Transportation solutions for urban environments require highly efficient systems from the start. With its collection of services and algorithms, M-TOOLS offers you an ideal architecture to offer innovative user experiences in record speed. On-demand logistics. Ready when you are. Don’t wait any longer on launching your delivery venture. 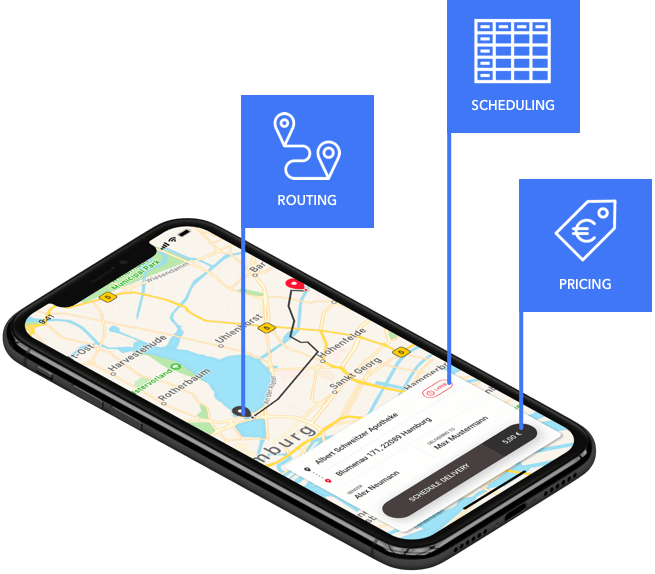 No matter how you are planning to transport things from A to B, M-TOOLS provides the backbone for an efficient process from order management and dispatching to fleet management. M-TOOLS empowers NOW.delivery to offer disruptive prices of delivery by providing matching algorithms and smart order management. We look forward to learn more about your business and show you how M-TOOLS can help superpower your transportation venture.